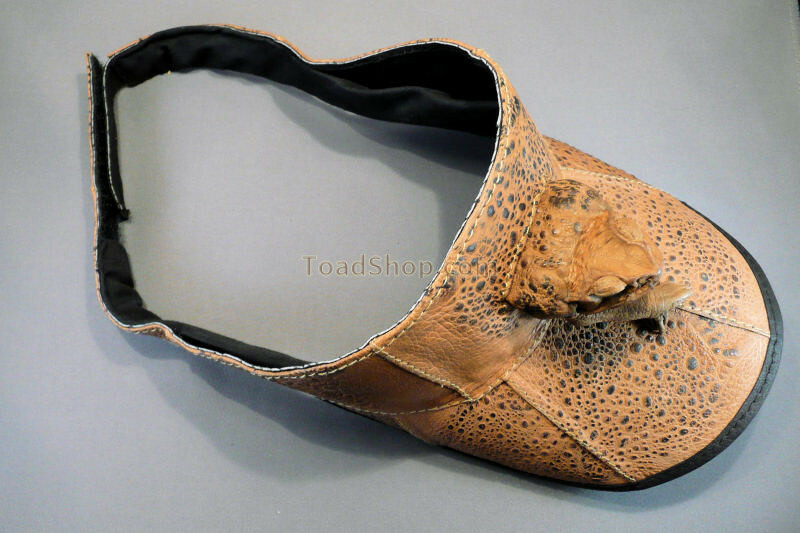 A sun visor made of high quality, durable, Australian Cane Toad leather. A sun visor made from skins of several Australian Cane Toads and featuring a single toad head and legs on the top center. 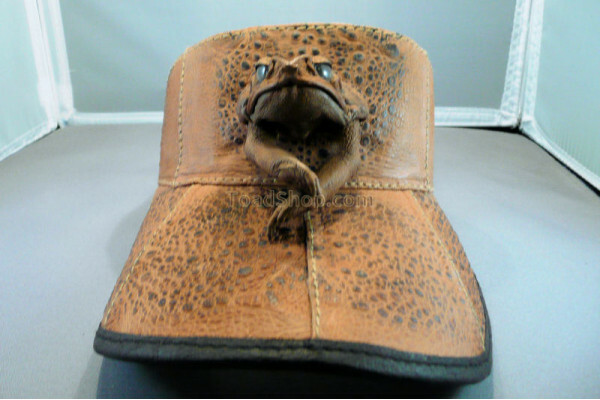 This is another great gift for a golfer or tennis player who needs to shield his/her eyes from the bright sun in style. The band is adjustable using a velcro fastener.